A flavorful take on the classic Southern comfort dish, vegan dirty rice recipe is definitely a must try! Cooked vegan ground protein, rice seasoned with onion, celery, bell peppers, and Creole seasoning. 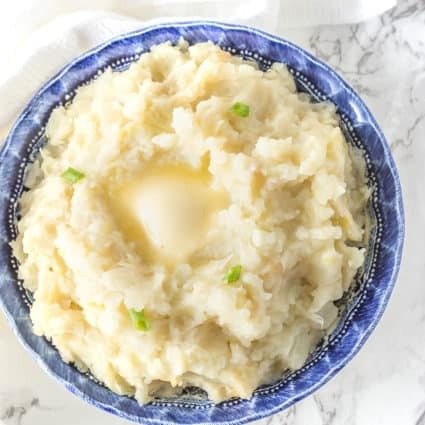 Dirty rice or Cajun rice is an American Cajun/Creole dish, originally from Southern Louisiana but is now enjoyed throughout the American south. 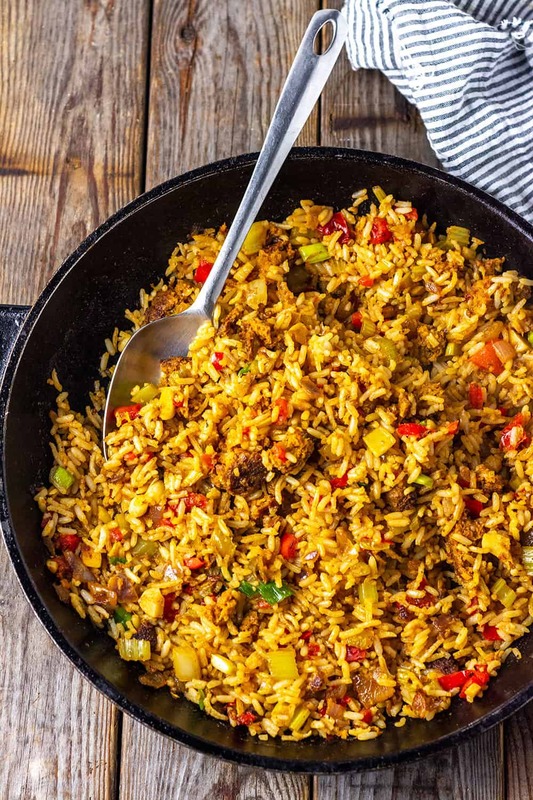 Dirty rice is popular throughout Cajun country, especially New Orleans and is served in various forms at all public gatherings, whether it is a family reunion, potluck, cookout, funeral. 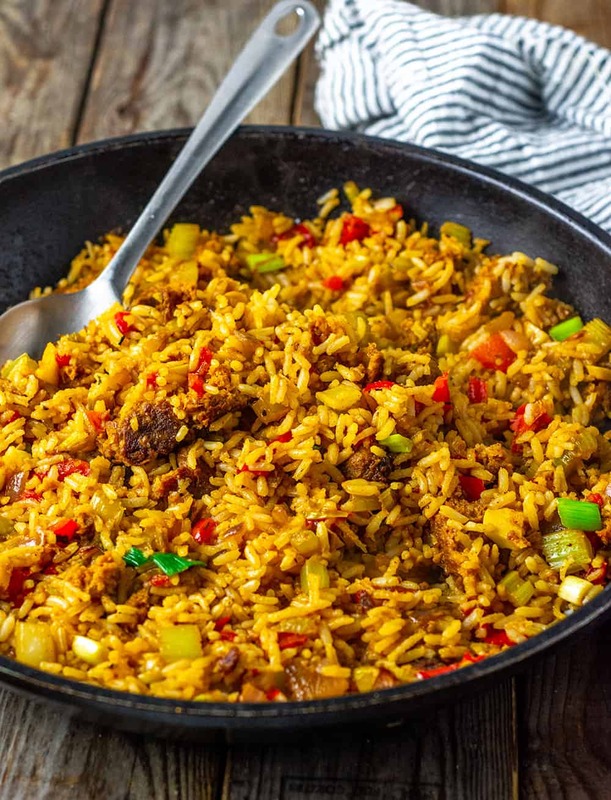 Although there are many versions of dirty rice, traditional dirty rice is made with ground beef, pork, chicken livers (giving it its dirty color), onion, celery, bell pepper, and Creole seasoning. My version of dirty rice, I added a vegan burger for that dirty rice look. I have made it with my vegan burger recipe and Beyond burger and they were both a huge hit. I also substituted green bell pepper for red bell pepper. 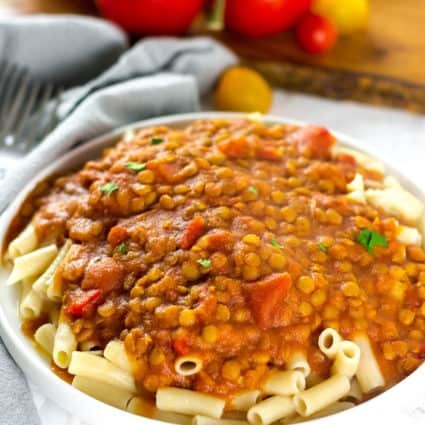 This is the perfect one pot meal that has so much flavor and it can easily be adapted with your favorite veggies and protein to be enjoyed all year round. It is called 'dirty rice' because of the bits and pieces of browned meat studded in the rice. Traditionally long grain or medium grain white rice is used to make homemade dirty rice but I use brown rice. Cook vegan burger following recipe instructions or if using storebought burger, cook according to package directions and cut into small pieces using a fork and knife, set aside. Heat oil in a large skillet on medium-high heat, add onion, garlic, celery, bell peppers and cook until fragrant and soft, about 3 minutes. Add Creole seasoning, or use Tony Chachere's Creole Seasoning vegetable broth and bring to a boil. Cook for 3 minutes. Stir in the vegan burger, rice, salt to taste and spring onion. Cook until heated through, about one minute. What Goes With Dirty Rice? Dirty rice can be served as a side, as a main or with a salad. My Vegan Gumbo Recipe tastes amazing with this Cajun dirty rice recipe with a side of Vegan Chicken Nuggets and Southern Fried Cabbage. Can You Freeze Dirty Rice? Yes, you can freeze dirty rice, preferably freeze your dirty rice immediately after cooling. Place rice in sealed containers and freeze. Dirty rice should keep for one month in the freezer. To reheat dirty rice you can either defrost container in the refrigerator or reheat from frozen. I usually add about 2 tablespoons of water or vegetable broth to the pan. If you make this dirty rice recipe snap a photo and hashtag #healthiersteps — we love to see your recipes on Instagram, Facebook & Twitter! 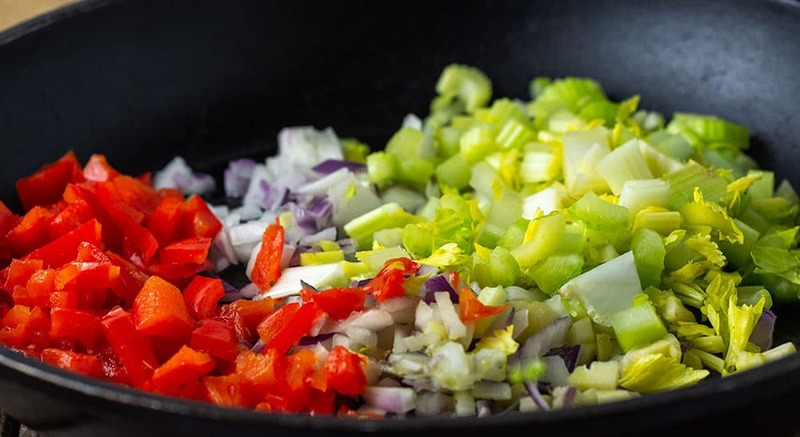 Heat oil in a large skillet on medium-high heat, add onion, garlic, celery, bell peppers and cook until fragrant and soft, about 3 minutes. Add Creole seasoning, vegetable broth and bring to a boil. Cook for 3 minutes. Thank you Cara, I hope you enjoy it!